$150 for members $220 for non members. This will be a beginner intro to kickboxing. Learn the proper techniques and combinations of kicks, knees, elbows and punches. 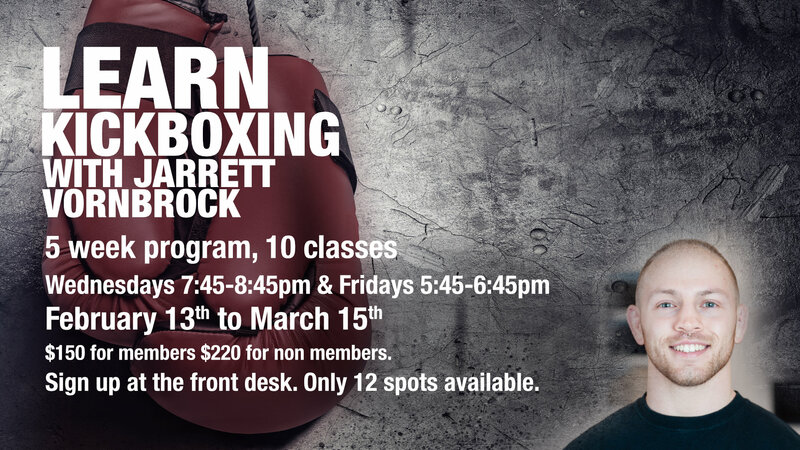 Not only a foundation in kickboxing, this program will turn you into a cardiovascular and plyometric machine! Sign up at the front desk. Only 12 spots available.